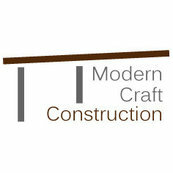 9 Reviews for Modern Craft Construction Inc.
John is honest, hardworking, talented, prompt, cost-sensitive, reliable and an all-around good guy. He transformed our basement storage into a beautiful master suite (we call it The Oasis). By the end of the project he was known as Uncle John to our 2-year-old. My wife and I couldn't have been more pleased with the end product and the overall experience. We would highly recommend him to anyone looking for a contractor.